May I request to change the name I used when I created my Meralco Online account? Yes. You may do so by calling the Meralco hotline or through the Meralco website. We can assist you in changing the name associated to your Meralco Online account when you call our 24/7 hotline at 16211 for residential customers and 16210 for business customers. You can also send the same request through the Contact Us page at the Meralco website. You may call our 24/7 hotline at 16211 or business hotline at 16210 for assistance. You may also reach us at our Contact Us page at www.meralco.com.ph. How can I report issues or bugs on the Meralco Mobile app? Look for the “Report a Bug” button inside the app’s About page. However, Meralco Mobile App is only available for Residential and Business customers and not for Corporate or Conglomerate ones. Tap the menu icon on the upper-left hand corner of the overview page. Tap the “Report a Bug” button at the bottom of the page. Meralco mobile is only available for Residential and Business customers only. This is not available to conglomerate customers. These Meralco Online transactions are available through Meralco.com.ph only. You can conduct partial or advanced payments when you access Meralco Online via our official website. Viewing of payment history and a conglomerate dashboard for corporate customers are also allowed. The same platform also permits subscription to Automatic Payment Arrangement and Service Application. All of the transactions mentioned above are not available in the Meralco Mobile App. I used to have the Meralco Virtual Engine (MoVE) app. Where can I access these old functionalities? These features are still accessible through the new Meralco Mobile App. Meralco Virtual Engine (MoVE) app users can still access useful features such as the Orange Tag, Appliance Calculator, Bright Ideas, and Business Center Directory in the landing page of the new Meralco Mobile App. What are the other requirements that should be provided by business, corporate, and government customers when signing-up for a Meralco Online account? Business, corporate and government customers must prepare these documents for a hassle-free creation of a Meralco Online account. For sole proprietorship registrants, you need to provide one (1) government-issued ID or two (2) secondary IDs of an authorized representative. An authorization letter from Meralco Online and the DTI Certificate of Business Registration must also be submitted. For partnerships, you must submit a notarized Partner’s Certificate designating the authorized representative and a secretary’s certificate of registration together with one (1) government-issued ID or two (2) secondary IDs of the authorized representative. An authorization letter from Meralco Online can also be submitted in lieu of the certificate of registration. For corporations, the latest General Information Sheet, the Securities and Exchange Commission Certificate of Registration, and the notarized Secretary’s Certificate appointing the authorized representative must be submitted together with the one (1) government-issued ID or two (2) secondary IDs of the authorized representative. An authorization letter from Meralco Online can also be submitted in lieu of the Secretary’s Certificate. For local government units, an LGU certification together with one (1) government-issued ID or two (2) secondary IDs of the authorized representative must be submitted. For other concerns regarding registration to Meralco Online, you may contact our 24/7 hotline at 16211 or the Meralco business hotline at 16210. You can also course your queries through the Contact Us page at www.meralco.com.ph. To avoid expiration of password, here’s how you can change it anytime. For additional data security, Meralco Online passwords must be changed every six months. To change your password via the Meralco website, click on the avatar next to your name at the upper-right hand corner and tap “My Profile” or click “Update Profile” on the home page. At the profile page, click “Change Password” and type in your current and new passwords. Click “Save” to confirm the change. If you will change your password using the Meralco Mobile app, press the menu icon at the upper-left hand part of the home page and then click “Settings.” Tap “Change Password” to enter your current and new password and then click “Save” to finalize the changes. All passwords must meet the conditions specified to better safeguard your account. You can change your password anytime. You will also be required to change your password every 6 months. Tap the avatar beside your name on the upper-right hand corner and select “My Profile” or you may click the “Update Profile” tile found in the overview page. Once you are in the profile page, click the “Change Password” tab. Provide your current password and the new password. Tap the menu icon found on the upper-left hand corner of the overview page. Enter your current password and your new password. Make sure your password meets the specified criteria. Tap “Save” on the upper-right hand corner. A prompt will appear once your password has been successfully changed. Here’s how you can change your password if you can’t remember the previous one. After a short while, you will receive a message containing a link to password reset. Click on that link to be redirected to the Reset Password page of Meralco Online. Type and confirm your new password on the specified fields and ensure that they meet the password requirements. Click on “Set Password” and you will be automatically logged in after a successful password reset. Please note that 5 failed log-in attempts will prevent you from accessing your Meralco Online account. A password reset is necessary. Enter the email address which you used to create your Meralco Online account. Click the “Send Confirmation Email” button. An email with the link to reset your password will be sent. Click the link in the email. You will be redirected to the Meralco Online Reset Password page. Enter your new password and confirm new password. Make sure your password meets the specified criteria. Click the “Set Password” button. You will automatically be logged in once your password has been successfully reset. Please note that after every six (6) months your password will expire. Why can’t I find the validation email from Meralco which will allow me to proceed with the Meralco Online account creation? It has been delivered but maybe not in your email inbox. Kindly check your email’s spam folder if you can’t find the validation email in your main inbox. If it is not in spam, you may contact us at our 24/7 hotline at 16211 or business hotline at 16210 for assistance. If you can’t find the validation email in your inbox, please check your spam folder. For concerns on the validation email, you may call us at our 24/7 hotline at 16211 or business hotline at 16210 for assistance. Why can’t I use my email address to register to Meralco Online? Make sure that the email address has not been used before. Each email address can only be connected to one Meralco Online account. Therefore, one email cannot be used to register multiple accounts. We also suggest that you use an active, personal email account to have fast access to our notifications and updates. If you can’t use your active email that has not been used to register previously, you may contact us at our 24/7 hotline at 16211 or the Meralco business hotline at 16211 for assistance. You may also course this concern through the Contact Us page at the official Meralco website. Can I create a new Meralco Online account using an email address that is associated to a currently deactivated Meralco Online account? Yes, but we will have to guide you through the process. Email addresses that have been previously connected to a deactivated Meralco Online account can be used for registering a new account. However, you will have to contact our 24/7 hotline at 16211 for residential customers and 16210 for business customers for additional information about this process. Yes, you may call our hotline at 16211 for residential customers and 16210 for business customers for more information. Why can’t I register to Meralco Online using my bill details? The little details in your bill make a huge difference. You can’t register for a Meralco Online account if you are using an electric bill that is beyond two months old. If you can’t proceed with the details in your latest bill, kindly use the requested information from the previous month’s bill. It’s also possible that you have encoded a comma in the kWh field that only accepts numbers. You may also check if the kWh and the bill date match. If they don’t, it could be the reason why the Meralco Online account registration is not pushing through. Kindly make sure as well that you selected “I already have a Meralco bill” instead of “I haven’t received my first Meralco bill” or vice versa during the registration process. You are using an old bill. Meralco Online will only accept details found on any of your bills from the past 2 months. If you are using the details from your latest bill received within the past 3 days and still cannot proceed, try using the details from your previous month’s bill. You placed a comma in the kWh field. The kWh field only accepts numbers. 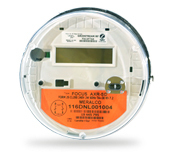 Your kWh and bill date do not match. Make sure to get the correct details from any bills from the past 2 months. You accidentally selected the “I haven’t received my first Meralco bill” instead of “I already have a Meralco bill”, or vice versa. Make sure to click the correct button. Why can’t I register using my Service ID Number (SIN)? Check the nature of your Service ID Number. You can’t register using your Service ID Number (SIN) maybe because it is not active or is pending for termination. It’s also possible that it is associated to two (2) Meralco Online accounts. You may un-enroll the number by contacting our 24/7 hotline at 16211 for residential customers of 16210 for business customers. This request can also be coursed through Meralco Online’s Contact Us page. Other reasons why you can’t register using the SIN is if it’s for a prepaid electricity account or if it is under a residential customer and switcher. For the latter case, the landlord or property lessor must request the removal of the former lessee’s Meralco Online account before the new lessee can create an account using the same SIN. For Service ID Numbers that fall under a corporate account, you may keep in touch with the Relationship Manager to request registration to Meralco Online. Your Service ID Number (SIN) is not active or is pending termination. Your Service ID Number (SIN) is already associated to two (2) Meralco Online Accounts, the maximum allowed by our system. You may un-enroll the SIN from those accounts by reaching Meralco through the Contact Us of Meralco Online, or calling us at 16211 for residential or 16210 for business customers. Your Service ID Number (SIN) is for a Prepaid electricity account (KLoad). Your Service ID Number (SIN) is under a Corporate account. For Corporate accounts, you may get in touch with your Relationship Manager to request for enrollment to Meralco Online. Your Service ID Number (SIN) is under Residential customer and switcher. The landlord/lessor should be able to request to remove the service from the former lessee’s Meralco Online account and allow the new lessee to create an account using the same SIN. How can I link my Meralco Online account with my Facebook account? Get easy access to Meralco Online through your social media account. To link your Facebook account via the Meralco website, tap the avatar beside your name on the upper-right hand portion and click “My Profile” or click “Update Profile” in the home page. Click on “Link to Facebook” at the profile page and the Log in to Facebook prompt will appear. Click on “Link Account” button to complete the process. If you will link to Facebook via the Meralco Mobile app, tap the menu icon at the upper-right hand corner of the overview page then click “Settings.” Next, press “My Profile” before tapping the “Link to Facebook” button. After logging in to Facebook, tap the “Link Account” button to connect Facebook with your Meralco account. Once you are in the profile page, click the “Link to Facebook” button. Tap the menu icon found on the upper-right hand corner of the overview page. Tap the “Link to Facebook” button at the bottom of the page. How can I un-link my Meralco Online account from my Facebook or Google account? Here’s how to remove social media connections from our Meralco Online account. To unlink your Facebook account from Meralco Online, follow the steps found here. To disconnect your Google account, click here. However, transmitted data from previous transactions can still be accessed. To completely unlink your social media accounts from Meralco Online, you may contact our 24/7 hotline at 16211 for residential customers or 16210 for business customers. You can also send a request via email to customercare@meralco.com.ph. Upon request of unlinking your social media accounts to Meralco online, you must provide a valid ID and the reason for un-linking from the Meralco Online account. You must also submit important details like name, email address and primary mobile number. To completely un-link your Meralco Online from your social media accounts, please call our 24/7 hotline 16211 for residential customers or our business hotline 16210, or email us at customercare@meralco.com.ph. Where can I see all the services registered under my Meralco Online account? See the registered services under Meralco Online through the Meralco website or mobile app. If you are viewing using the Meralco Mobile App, you can tap the menu icon at the upper left hand corner before pressing “Switch Service” or tap “Settings” then “Select Add/Switch Service.” This will launch a page showing the services subscribed to your Meralco Online account. The one with an orange icon is the default service. Make sure that you select the correct service when transacting with Meralco via the mobile app. Click “Accounts” on the menu bar and select “Manage Accounts” or click the “View Account Details” tile in the overview page. You may choose to view all Accounts/Service ID Numbers (SINs) enrolled under your account or just choose a specific Account/SIN you wish to view from the dropdown field. It will launch a page with the service/s subscribed to your Meralco Online account. The service with the orange icon is the default service. The details are reflected in the overview page and other pages of the app. When transacting with Meralco using the app, make sure to set the specific service you would like to transact for. How can I add another residential service to my Meralco Online account? You can add as many residential services as you want but business services are not allowed. If you wish to add a residential service using the Meralco website, click on “Accounts” on the menu bar then select “Enroll a Service.” Provide the information required in the fields marked with an asterisk (*) and then click “Submit” to complete the process. If you will use the Meralco Mobile App, look for “Switch Service” after tapping the menu icon at the upper-left corner of the main page. Then, tap “Add” on the Add/Switch Service page and fill in the required information marked with an asterisk. Click “Add” to finish adding the record. The Add/Switch Service page can also be accessed through the Settings option under the main menu icon. A maximum of two Meralco Online accounts are allowed per Service ID number. If you created your Meralco Online account using a residential service, there is no limit to the number of residential services that you can add to this account. However, adding of business services is not allowed. Provide all the required information, which are marked with an asterisk (*). Tap “Add” on the upper-right hand corner of the Add/Switch Service page. Tap “Add” on the upper-right hand corner. Here are the government-issued IDs that we accept when signing up for a Meralco Online account. Kindly ensure that the any of these that you will submit are genuine and unexpired. Though the process is the same, addition of residential services is not allowed. A Biz Partner Manager will contact you after submitting the details. Meanwhile, corporate customers must contact a Relationship Manager to request the addition of more business services. However, they are not allowed to add residential services to their Meralco Online account. Please note that after submission, your Biz Partner Manager will get in touch with you. Account registration and enrollment of additional services are disabled for Corporate customers. You may get in touch with your Relationship Manager to request to add additional business services to your account. There is no limit to the number of business services which can be added to this account. However, adding of residential services is not allowed. Can I save my email address in the log-in page, so I don’t need to type it everytime I log in to the Meralco Mobile App? Yes. Just tick the box beside “Remember Me” in the log-in page. You can save your email address by checking the tick box beside “Remember Me” in the log-in page. Once you do this, you need not type your email address again during succeeding log-ins. Yes. In the log-in page, make sure the tickbox beside “Remember Me” is checked so that you do not need to type it again. How do I keep my account logged in to the Meralco Mobile App just like my other apps, so I don’t have to log in everytime I want to use it? To keep your account logged in, tap the menu icon on the upper-left hand portion of the Overview page and tap “Settings.” From there, enable the toggle button beside “Keep me logged in” so that you won’t have to enter your log-in details again. How can I un-enroll or delete a service from my Meralco Online account? To reduce services via the Meralco website, click “Accounts” on the Menu Bar or “View Account Details in the overview page. From there, select from the dropdown menu the Service ID Number (SIN) that you want to delete and click “Submit.” From the table showing the connected ID numbers in orange font, click the one you wish to delete from your account. Doing so will launch another page that shows its details. Click “Un-Enroll Electric Service” and a prompt signifying that the numbers has been removed will appear. If you will use the Meralco Mobile app, tap “Switch Service” after pressing the menu icon at the upper left corner of the main page. Then, tap on the service that you want to un-enroll and its icon will turn orange. Go back to the overview page and the details of the service for un-enrollment should be shown here. Tap the tile containing the Service ID Number and icon to access the Accounts page. From here, scroll to the bottom and click “Un-Enroll” service. You can also access the Accounts page by tapping “Accounts” inside the menu button at the upper-left corner. Select the Service ID Number (SIN) you wish to delete from your account from the dropdown list. Click the “Submit” button. It will launch a table that shows the Service ID Number (SIN) in orange font. Click on the SIN you wish to delete from your account. It will launch another page with all the details of that service. Click the “Un-Enroll Electric Service” button found at the upper-right hand side of the page. A prompt will appear once the service has been successfully removed. Tap the service which you want to un-enroll. The icon of this service will turn orange upon selection. Go to the overview page. The details of the service you want to un-enroll should be the one shown here. Tap the tile on the left that contains the Service ID Number (SIN) and icon. You will be directed to the accounts page. Scroll to the bottom and tap the “Un-Enroll Service” button. Tap the service that you want to un-enroll. The icon of this service will turn orange upon selection. Tap the menu button on the upper-left hand corner of the overview page. Why can’t I un-enroll my service from my Meralco Online account? It’s either because you are tagged as payor or subscribed to paperless billing. Meralco Online users who are subscribed to paperless billing or are identified as payor cannot unenroll service unless they unsubscribe to paperless billing first. If you wish to un-enroll from Meralco Online even if you are still subscribed to paperless billing, you may call our 24/7 hotline at 16211 or business hotline at 16210. The same request can also be sent through the Contact Us page at the Meralco website. Meralco Online accounts with no enrolled services will be deactivated after 30 days. Please note that Meralco Online accounts with no enrolled services will be deactivated after 30 days. What if I accidentally un-enrolled a service from my Meralco Online account? Just follow the steps on how to add or enroll a service again. Kindly refer to steps on how to add-enroll a service if you accidentally un-enrolled a service from your Meralco Online account. If you accidentally un-enrolled a service from your Meralco Online account, refer to the steps on how to add-enroll a service. What is the recommended browser for Meralco Online? To enjoy the full benefits of Meralco Online, we suggest that you access it through updated versions of Google Chrome, Mozilla Firefox, Apple Safari, or Microsoft Internet Explorer. The suggested browser for Meralco Online is the upgraded versions of Firefox, Chrome, Safari or Internet Explorer. What is the recommended mobile app operating system for Meralco Mobile? Meralco Online works best on Android Nougat and Oreo as well as iOS 11 and 12. To enjoy the full benefits of the Meralco mobile app, we suggest that you access it using Android Nougat and Oreo operating systems. Likewise, it works best on iOS 11 and 12 for Apple users. For Android users, the suggested version is Nougat and Oreo. While for iOS users, the suggested version is iOs 11 and iOS 12. How can I de-activate my Meralco Online account? You can only deactivate an account through the Meralco website. De-activating a Meralco Online account can only be done through Meralco.com.ph. To do so, log-in to the website and click the user icon at the upper right side of the page. Then, click on “My Profile” and then click on “De-Activate Meralco Online Account” to the right of the profile page. After specifying the reason for de-activation on the appropriate field, click “Submit” and wait for the email certifying a successful de-activation. De-activation is not allowed if you are subscribed to paperless billing. Account de-activation can only be done via browser. You can’t de-activate your Meralco Online account via the Meralco Mobile App. Log in to Meralco Online at www.meralco.com.ph. Click on the user icon on the upper-right hand corner of the page. Click on “De-Activate Meralco Online Account” on the right side of the page. Specify the reason for de-activating your account. Click “Submit.” An email will be sent to you upon successful de-activation. If you are subscribed to paperless billing you will not be able to deactivate your Meralco Online account, You have to unsubscribe first to be able to deactivate. Where can I view my past and present transactions with Meralco? Look for Activity Tracker in the Meralco website or mobile app. You can view your transaction history via Meralco.com.ph by clicking “View Activity Tracker” on the overview page. A list of each transaction will be shown and you may click the reference number to see more details. When using the Meralco Mobile App, you can access the Activity Tracker after tapping the menu icon on the upper-left corner of the main page. To view more details for each transaction, tap the arrow beside each record. 1. Click the “View Activity Tracker” tile in the overview page. 1. Tap the menu icon on the upper left-hand corner of the Overview page. 3. Tap the arrow beside each of the transactions listed to view more details. How can I modify my personal information in my Meralco Online account? Update your personal details in a few easy steps. If you are updating using the Meralco Mobile App, just click the menu icon at the upper left-hand portion of the home page then tap “Settings.” Next, tap “My Profile” and then “Edit” on the upper-right hand part of the profile page. Type in the updated details for every field except for name and email address. After editing, click “Save” and wait until a notification confirming the changes appear. Tap the avatar beside your name on the upper-right hand corner and select “My Profile” or you may click the “Update Profile” tile fond in the overview page. Once you’re in the profile page, click the “Edit Info” button or any of the pencil icons found on the page. All fields, except your name and email address, can be edited. Tap “Edit” on the upper-right hand corner. All fields, except your name and email address, can be edited. Tap “Save” on the upper-right hand corner. A prompt will appear once changes have been successfully saved. How can I modify my notification settings? Select the type of reminders you want to receive from Meralco in a few easy steps. If you will modify via the Meralco website, tap the avatar beside your name on the upper-right hand portion and click “My Profile.” You can also access the profile page by tapping “Update Profile” at the overview page. At the profile page, click on “Notifications” to land on the page wherein you can modify the settings. Click “Save” when you are done selecting your notifications. If you are updating via the Meralco Mobile App, tap the menu icon at the upper left-hand portion of the main page to access “Settings.” Tap on that option and then scroll down to choose “Preferred Communication Channels.” You can expand the available options per notification type by pressing the plus (+) sign and select the type of notifications you want to receive. Take note that SMS notifications for payment reminders are not allowed. Once you are done selecting the notifications, tap “Save Preferences” to confirm changes. Once you are in the profile page, click the “Notifications” tab and modify your notification settings. Tap the plus sign (+) to show the available channels per notification type. Note that SMS notifications can’t be enabled for Payment Reminders. Tap the toggle button to enable or disable notification channels. Tap the “Save Preferences” button to save your changes. Where can I view my historical transactions with Meralco? Click the “View Activity Tracker” tile in the overview page. You may click the reference number of each transactions to view more details. Tap the arrow beside each of the transactions listed to view more details. How can I edit the icon assigned to my service on the Meralco Mobile App? Select from a number of icons available at the “Accounts” section of the app. You can edit the icon associated to your service by tapping the menu icon on the upper-left hand portion of the app’s overview page. From there, tap “Accounts” and then tap “Edit” on the upper right part. Tap “Edit” under the icon to view the available options. Choose an icon to confirm the change. Tap “Edit” on the upper-right hand corner. Tap “Edit” under the icon. How can I edit the nickname assigned to my service? Be it on the website or the app, Meralco makes it easy to edit your associated nickname. If you will change your service nickname via the Meralco website, click “Accounts” on the menu bar then select “Manage Accounts.” You can also access the same page by clicking “View Account Details” in the home page. Then, select the Service ID Number corresponding to the nickname you want to edit and click “Submit.” Next, click the pencil icon next to the SIN on the info table that will appear and input your desired nickname. Click on “Save” to confirm the change. If you will be editing using the Meralco Mobile app, tap on the menu icon at the upper-left hand part of the home page and select “Accounts.” Tap “Edit” on the upper-left hand section of the succeeding page and then type in your desired nickname. Press “Save” to confirm changes and a prompt will appear once the revisions have been saved. Select the Service ID Number (SIN) with the nickname you want you want to edit. Click the “Submit” button. It will launch a table that shows the Service ID Number (SIN) you selected. Click the pencil icon beside the SIN to edit or assign a nickname. Tap “Edit” on the upper-right hand corner. Enter or change the nickname. Tap “Save.” A prompt will appear once changes have been successfully saved.